With its otherworldly melodies and mesmerizing textures, the music of Siren Sea transports and transforms. In creating their latest collection of songs, the Dallas-bred, Orlando-based two-piece journeyed through Paris, London, Berlin, and Stockholm, recording in Warsaw and in the seaside Swedish city of Kalmar. The result: Paradise, a five-track EP that reveals Siren Sea’s sophisticated grace in crafting soulfully moody noir-pop through exploration of all kinds. The follow-up to Siren Sea’s 2013 debut Papier Mâché, Paradise finds singer/songwriter Reema Hamdan and guitarist Niklas Schönbeck delving into genres like psychedelia, alt-pop, electronic, and art rock to dream up a singular sound that’s delicate yet captivating, darkly charged but luminous. Throughout the self-produced EP (made partly in collaboration with Swedish producers Joakim Buddee and Linnea Atieno), Siren Sea match that musically adventurous spirit with a penchant for plumbing the depths of the psyche to conjure up powerfully affecting lyrics. 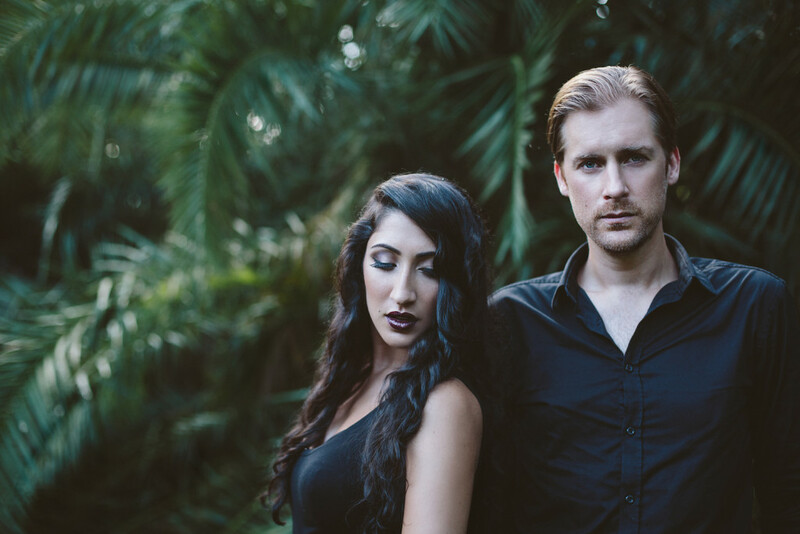 Forming Siren Sea in 2012, Hamdan (an Orlando native who began singing professionally in her teens) and Schönbeck (a Sweden-born musician with an extensive background as a session guitarist) first crossed paths through the local music scene in Dallas. “I was singing in recording sessions for other songwriters for a time, but eventually I realized I was longing to write my own material,” says Hamdan. “I ran into Nik and loved how he created this beautiful texture with his guitar work, so I asked if he wanted to compose with me, and the whole project was spawned from there.” Choosing the name Siren Sea as a nod to their love of ocean-inspired reverb and delay and wave-like rhythm, the duo self-released Papier Mâché in autumn 2013 after relocating to Europe for some soul-searching and creative expansion. Vatten inspirerar oss. Vänligt glitter. Djup och bränningar. Mystik och realism. Allt det, som gör musik värd att lyssna på. Projekt Siren Sea startades i USA men har musikaliska anknytningar till Sverige. Musiken är skriven av Reema och Niklas Schönbeck och karakteriseras av melodiska och explorativa inslag med influenser från världens alla hörn.